Hello Friday, we are so glad you are here! Have we mentioned how much we love the weekend? We are so looking forward to the weekend. One of us will be rocking the mom life (but the mom life with out a super early alarm clock totally rocks our world! ), and one of us is headed on a plane for a kid-free weekend. Either way - winning! Before we get to that we have a fun little post in store for you. Break out the pumpkins! Break out the fall themed plaids! Throw on a monogram! Never ones to miss out on a good opportunity to flaunt some theme wear, Halloween season has officially arrived, and WE. ARE. READY!! We deck out our homes for each season and sometimes (read: all the time) we think it's fun to join the party and get in the spirit ourselves too. Halloween is the ultimate of theme wear seasons. From fun tees to spectacular costumes - there is no shortage of super cute spooky style for the whole family! Today we thought we'd let you join in our theme wear kind of crazy, and are sharing some of our favorite Halloween themed finds. 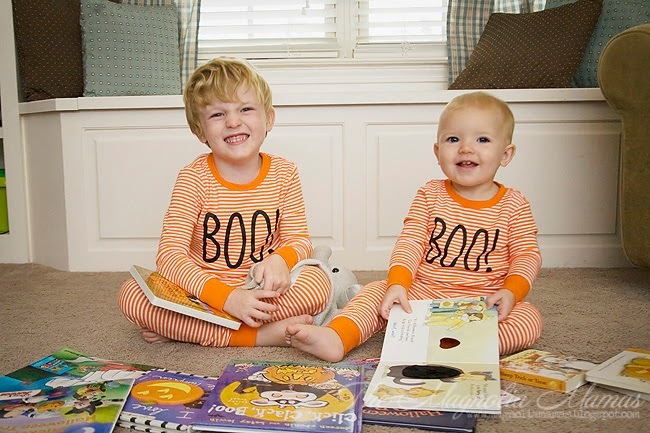 Pajamas might be our favorite way to show our spooky spirit. Each holiday we have a set or two of fun holiday pjs on hand for the kids. It's an easy way to coordinate them, and they think it is so much fun to match each other or one of us. With all of the glow in the dark options, spooky characters, and fun accessories (hello super hero cape!) they love the moment they can get into their Halloween pjs. Sometimes we match, and sometimes we don't, but either way there are tons of fun options to help everyone get in the spooky spirit. We love these ladies ghost pjs! They also coordinate with a super cute toddler set too! But one of our favorite lines is the Jammies for Your Families. You can coordinate across siblings, both for toddler sizes and older sizes, as well as across genders. Even your little one's doll can match! How adorable is that?! Tees are the easiest way to have a little fun on Halloween. It's also the easiest way for the whole family to show a little Halloween spirit. The kids love when we show up to their classrooms and we are "dressed" up too. 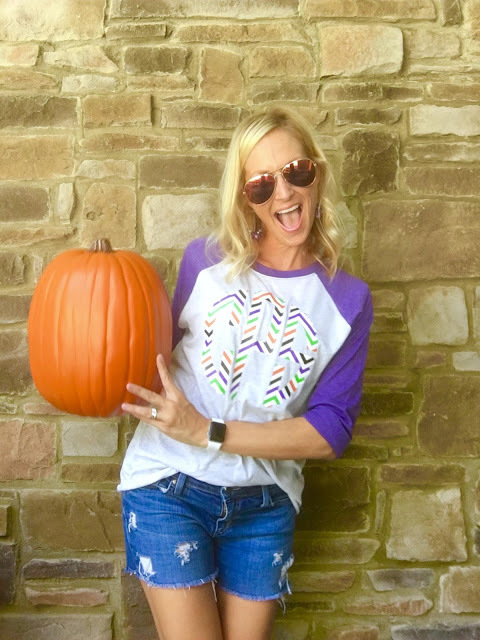 Our friend Kathryn at Feathered Nest Boutique made us the cutest Halloween tees this year! There are always a ton of tees for the kids to choose from. 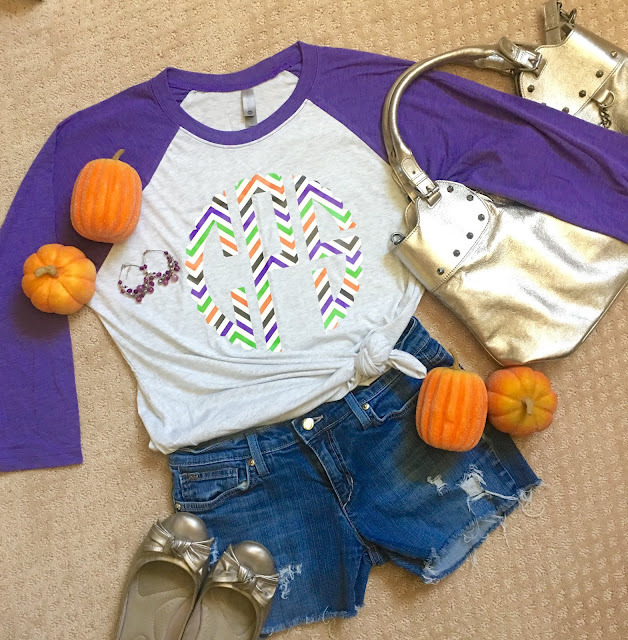 The toddler set has been sporting these fun Halloween themed tees since October rolled around. L.C. 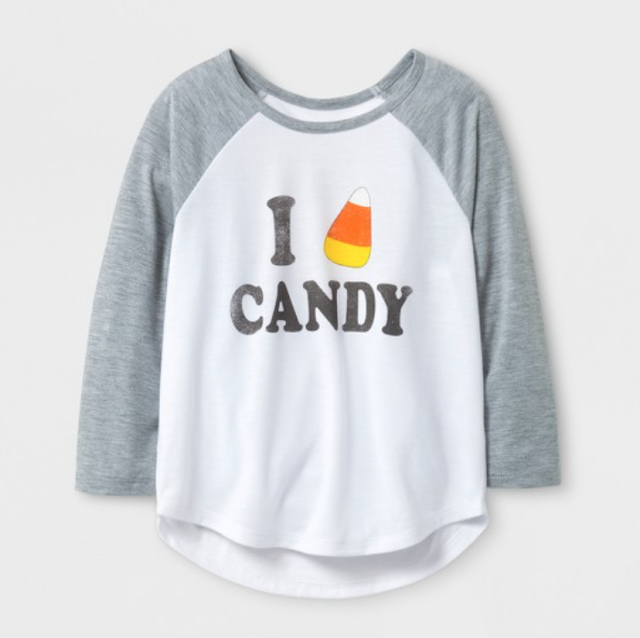 also has been sporting this cute candy corn baseball tee from Target. It's been her favorite and I can't wash it fast enough. Note: It runs a little small. Keep that in mind if you want to get it for your candy corn little cutie too. And because it's usually so hard to find cute boys tees, we did a little more extensive research and found some fun tees available at other shops. We were so excited to find some really cute ones this year! One of the easiest ways to add a little Halloween spirit to your outfit without going overboard is with fun accessories. It's also a little something you can slip on and off easily if you need to. Going to the kids school? Fun witch hat themed earrings totally work. Going to a business meeting? An easy switch! Accessories are the best, and we've found a little something for everyone in the family! 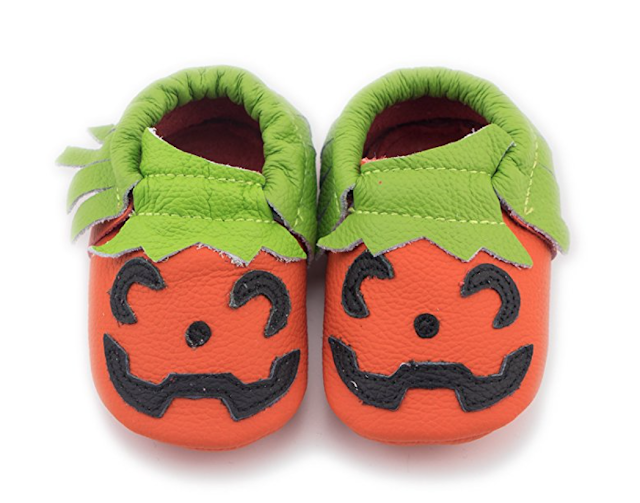 We are almost out of the tiny tot phase of life, but we just couldn't resist these fun little Jack-o-lantern mocs for B.C. How cute are they?! They come in a ton of different colors, and there are a few different Halloween options, but these are our favorite! These holiday earring packs are so fun, and we love how discreet they are. The bat earrings are perfect for our super hero theme we have going on this year, and the spooky spiders earrings are a hit amongst the boys of the crew. We aren't sure if this fits in the accessory category, but these fun Halloween drink huggers are too cute not to share, and this time of year we always carry them with us. That counts as an accessory right? From workouts with our water bottles to our happy hours on the porch, these can huggers make for a fun little way to celebrate Halloween. We just love all the fun sayings! They come in 12 different options and a variety of patterns. They also make for a great little gift or addition to a "Boo" basket if you do that in your neighborhood. 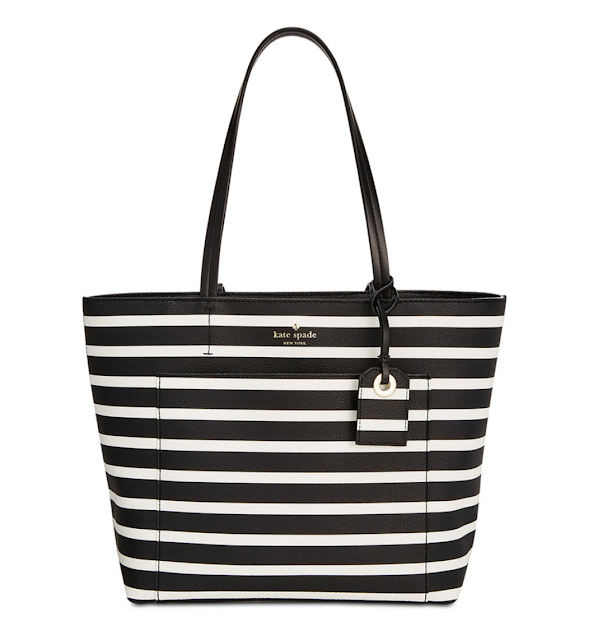 Now for bags we like to accessorize a little more subtly, and opt for a fun black and white patterned one. This way we coordinate with the theme, but it's a bag we can rotate in out for football games since it coordinates with our teams colors (Go Dawgs! Go Falcons! ), and for various occasions throughout the year. Our favorite is this striped one. Jen has it in both black and white and the navy version. It's the perfect size tote and works well as a diaper bag too. Bonus: It is wipeable as well! 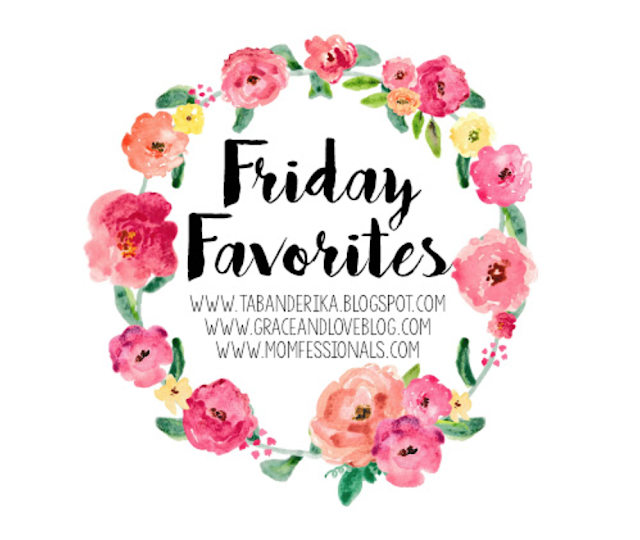 Here are some of of our other favorites as well as some we have our eye on! 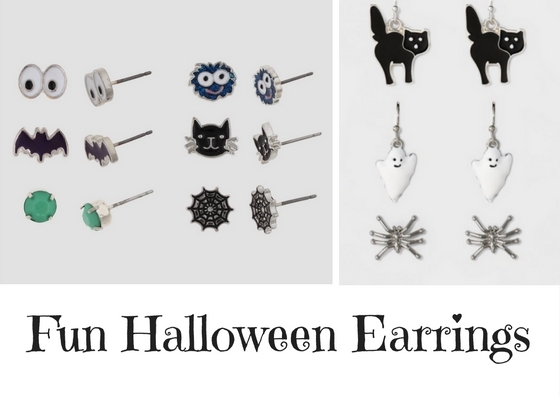 And there you have it...our favorite spooky styles for everyone! We just love how fun this time of year is, and are so glad we have a few more weeks to enjoy the spirit of Halloween with our kids! What are some of your favorite things to wear to get in the spirit of Halloween? GREAT round up! I especially love the women's pajamas...I've never thought of coordinating Halloween jammies for grownups! Have a nice weekend! Love all the spooky ideas. I know my nieces and nephew would love all the fun PJs. 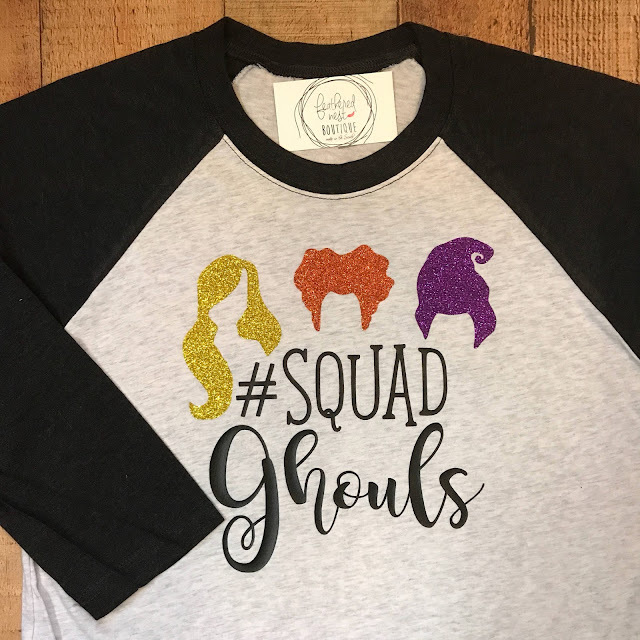 I got a t-shirt that says Squad Ghouls too. I can't wait to wear it!